Have you heard of “floating”? It has nothing to do with any drugs or jumping out of airplanes. It’s the newest rage and it’s pretty amazing. 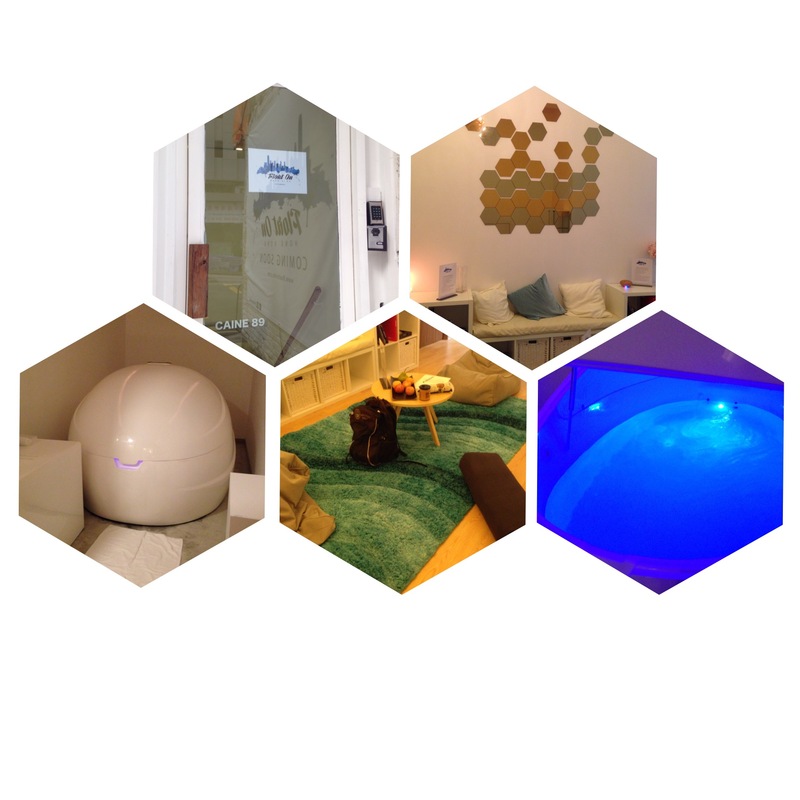 It’s all to do with taking a time out and relaxing in a sensory deprivation tank or “dreampod”, where you get to float in a tank filled with epsom salts and magnesium in water. We often get caught up in the busy-ness of life and where we live that we forget to take some quiet time for ourselves and just reflect and relax. So, on Tuesday, I was given the opportunity to try out a session at Hong Kong’s first sensory deprivation centre, Float On HK It’s located on 89 Caine Road, just a 5 min walk from the midlevel escalators. As soon as you walk in, you can feel a calmness. You take your shoes off at the door and leave the busy-ness there and sit in the comfy beanbags or the beautiful rug that reminds you of the ocean. After filling out a simple waiver, Dee showed me the pod room. First, you undress, then put in earplugs, shower with the soap provided, dry off your face and hop right into the pod. I chose to float for 45min. You can also do 60min. I know I have a hard time relaxing and meditating so I wanted to ease into it. For the first 8 min you hear relaxing ocean sounds and then it’s quiet. The pod is also lit with a soothing light. This was my first float experience so I didn’t know what to expect. So I just let myself relax and float which was really easy to do. I tried to let my body melt into the water and it was beautiful. Your body is perfectly cradled in the water. I started with the pod closed and that was fine, not claustrophobic at all. After about 10min, I did feel a bit warm though and cracked open the pod a little. There’s a little facecloth inside for you to wipe your face off and a little spray bottle to spritz your face. There’s also a cut pool noodle also available if you need to rest your neck. I was ok for about another 10-15min but then the unexpected happened. I started to feel a little seasick and a bit nauseous. I sat up for a bit and tried to cool down a bit with the spray bottle and opening up the pod. I tried to float a little longer, but I couldn’t ignore it anymore so I got out of the pod and showered off. I got dressed and went back in the waiting room to have some water. I think the reason why I started to feel sick was that I failed to read the guidelines on the website which recommended a light meal or snack before floating and my last meal before floating was 4.5 hours before so my stomach was probably too empty. It’s also recommended not to drink coffee before floating.